The opening two games of the 2019 Ylvisaker Cup saw two dominant performances on the opening day from Pilot and Dutta Corp in resounding victories over Tonkawa and SD Farms respectively. Meanwhile, the second day of play featured two closely contested games with Patagones defeating Iconica 7-4, while La Indiana held on to defeat Coca-Cola 10-9 during the feature game of the week at the International Polo Club Palm Beach. 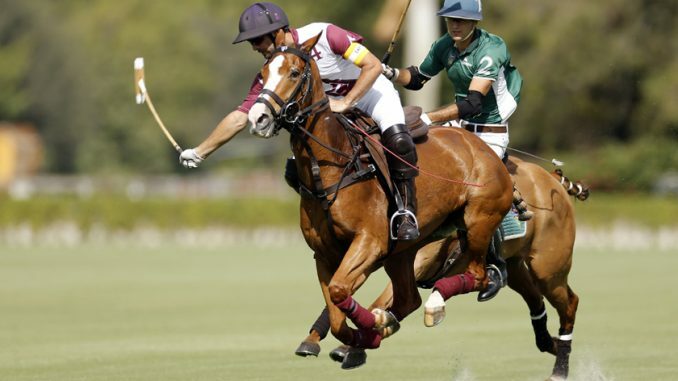 The opening game of the tournament saw the debut of Pilot, led by 10-goaler Facundo Pieres who wasted no time in controlling play. With five-goals in the opening two chukkas, Pieres led Pilot in an impressive first half that saw the hold a large 12-2 lead. Utilizing an effective possession attack, Pilot was able to control play by winning 10 of the first 11 throw-ins in the game to keep Tonkawa on the defensive. With the large lead, Pilot protected their advantage with a balanced team effort on the defensive end, keeping Sapo Caset off the scoresheet through the opening four chukkas. The overwhelming Pilot attack proved to be too much for Tonkawa in the convincing 16-7 victory. After capturing both the Herbie Pennell Cup and Joe Barry Cup with a perfect 5-0 record, Dutta Corp continued their strong play in the victory over SD Farms. Struggling with foul trouble throughout the game, SD Farms found themselves in a large deficit in the first half after Kris Kampsen produced a five-goal third chukka, with four of those goals coming from the penalty line. Continuing to lose the field advantage with the fouls piling up, SD Farms was also unable to take advantage of their scoring chances, shooting just 1 for 7 in the opening half. Juan Martin Obregon tried to lead the SD Farms attack, accounting for all five of his team’s goals in the game, but the inability to score efficiently and avoid fouling was ultimately SD Farm’s downfall. As has been the case for Dutta Corp throughout the season, their balanced attack and organized defence proved to be a winning formula once again, with Timmy Dutta sealing the win with the final goal to seal the 14-6 victory for Dutta Corp.
Sunday’s play in the Ylvisaker Cup began with a defensive battle between Patagones and Iconica. The pace of play early in the game was setting the scene for an offensive battle, with Tomas Garcia del Rio leading the way for Patagones. Claiming a penalty 1 goal, while setting up multiple runs for Benjamin Avendano, Garcia del Rio was an offensive force for Patagones. The beneficiary of the Patagones passing attack, Benjamin Avendano finished with accuracy to score four goals in the opening half. Iconica struggled to match the offensive output of Patagones in the first half, unable to maintain consistent possession. Patagones also kept Iconica off the penalty line in the game, providing zero penalty attempts, leaving Iconica to find their offense in open play. With just four field goals, three of the mallet of Peke Gonzalez, Iconica was unable to find the chemistry needed on the attack in their first game of the season, falling to a strong Patagones team that produced a good team effort in the 7-4 win. The final game of the week saw both teams play their first game of the 2019 season, with La Indiana taking advantage of a Coca-Cola team that struggled with discipline throughout the game. Committing 14 fouls along with three yellow cards, Coca-Cola had their opportunities to take the lead in the game, but kept awarding penalty attempts to La Indiana, with Facundo Obregon converting four penalty attempts as part of a game high seven goals. With a scrappy game that saw the teams trade goals and stay within a couple of goals of each other throughout most of the game, La Indiana pulled away early in the second half after back-to-back goals from Jeff Hall. Shooting just 6 for 17 in the game, the frustration of missed opportunities along with the increased foul count boiled over in the final chukka, with Julian de Lusarreta receiving two yellow cards to be sent off leaving Coca-Cola a man down in a close game. With the disadvantage on the field, Coca-Cola was unable to complete their comeback as La Indiana survived the scare to capture their first win and set up an exciting second round of games in the Ylvisaker Cup.